Not long ago, I was sent a documentary about Marines from 1st Battalion, 4th Marines. The documentary was shot and narrated by 1st Lieutenant Michael Scotti. Inspired to enlist after the death of a high school classmate, Scotti joined the Marines in hopes of avenging the deaths of so many innocent Americans lost on September 11, 2001. Severe Clear provides viewers with an in-depth glimpse into the life of a Marine at war, and the unwavering loyalty that the few and the proud possess. The film makes no judgment on the war; rather it explores the unique bond that warriors forge, and their quest to ensure the continued safety of their country by fighting so valiantly each day. 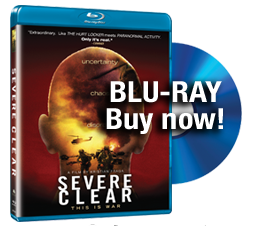 With footage shot by Scotti and his fellow Marines using a handheld camera, Severe Clear offers an up-close look at what soldiers endure each day, the raw sounds of war, heart wrenching casualties and their insatiable drive to complete the mission at hand. The movie is what you would expect to be shot by a Marine – raw, profanity-laced, and in your face. Scotti documents periods of boredom with spikes of combat, frustration, and confusion. The movie traces 1/4 Marines from home station to Kuwait, then their onward northern push to Baghdad. It’s intense and blistering in its unapologetic look at real life combat as seen by a group of battle hardened Marines. Reminiscent of Stanly Kubrick’s Full Metal Jacket, Severe Clear is the real Hurt Locker, allowing viewers to see firsthand the adrenaline rush and moral conflicts that arise during the heat of battle, keeping you on the edge of your seat throughout the entire film. I couldn’t help but bite my fingernails as I witnessed the path of these Marines as they fought their way north to the east of my unit at the time, the 3rd Infantry Division. I recall some of those same BBC reports intertwined within the film and found myself whisked back into the smokey stench of Iraq combat. While technology has yet to capture the true sights, sounds, and smells of combat, Severe Clear comes the closest I’ve honestly seen yet. It’s the first movie I’ve seen of the main assault into Iraq from the Warrior’s point of view, shot entirely by troops. 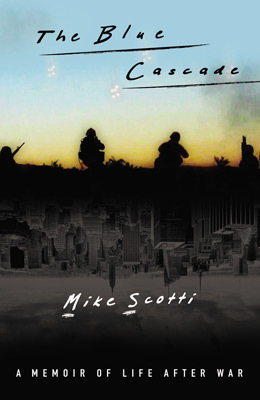 Scotti does a great job narrating the film and provides insights into his personal journal during weeks of combat. Marines speak freely about their opinions of situations in which they’re placed. Many media misconceptions and outright public falsehoods are laid to rest by the movie. For example, as the Marines pour into Baghdad, the camera pans across hundreds of smiling, approving Iraqis as they convey their thanks for the freedom these brave men have just brought to their country. It’s a site you have to be there to truly appreciate. Severe Clear will be screened in New York and Los Angeles in March, and they are exploring opportunities to screen the film for military audiences and their families as well, as the film will give family members a greater understanding of what their loved ones go through. It’s gritty, though, and some family members may find the movie too honest and gripping in detail. But, for those that truly want to know what combat is like from “a Soldier’s (or Marine’s) perspective,” you can’t get much closer than Severe Clear. Don’t ever call a marine a soldier unless, you like eating corn on the cob with no teeth.